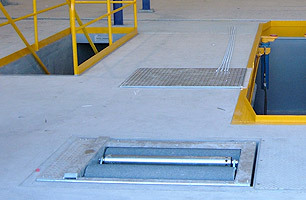 This style of service pit also called a drop in pit is ideal for truck or bus operators wanting a quick and cost effective maintenance pit. 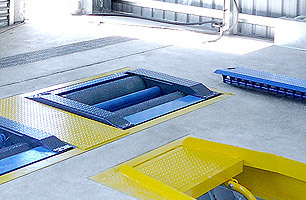 Built for over 30 years in our Sydney manufacturing plant, the Hartex drop in pits are fully pre-fabricated and fitted out off-site, allowing for the fastest truck or bus service pit installation in the country, with some pits being installed and commissioned in 4 days. 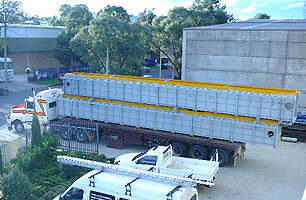 The drop in pits are made to custom lengths and transported to all parts of Australia and an ever-increasing international clientele. 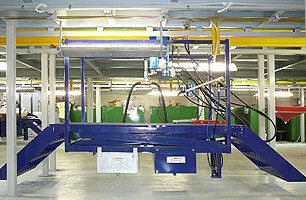 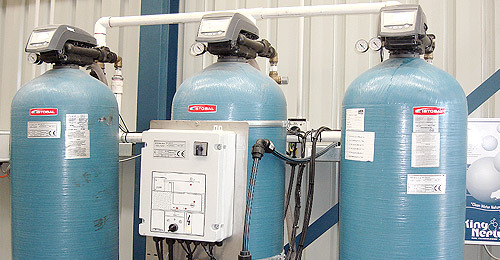 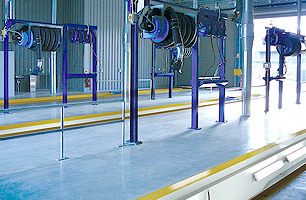 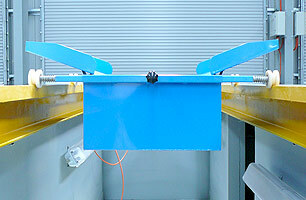 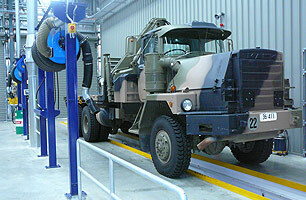 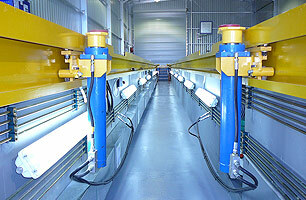 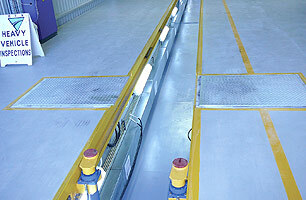 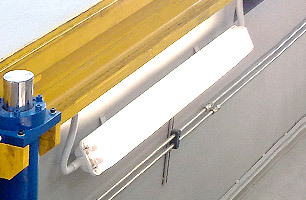 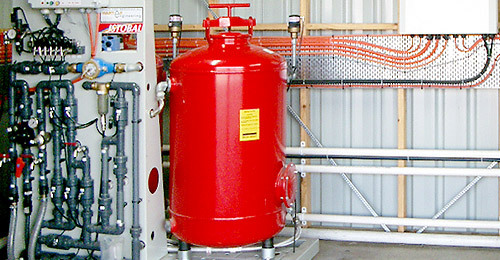 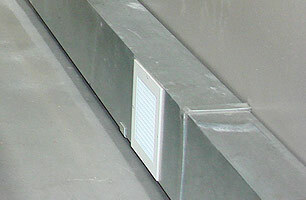 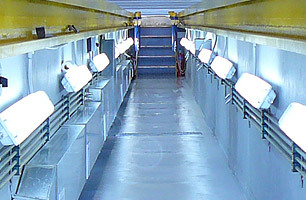 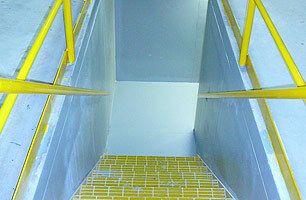 Hartex is the ONLY Australian manufacturer of drop-in service pits. 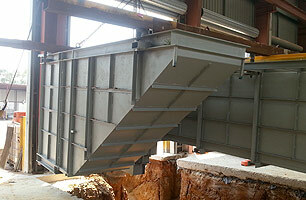 It is because of our extensive experience in delivering turnkey solutions like this, that our clients trust Hartex Engineering to deliver these complex pre-fabricated pit systems. 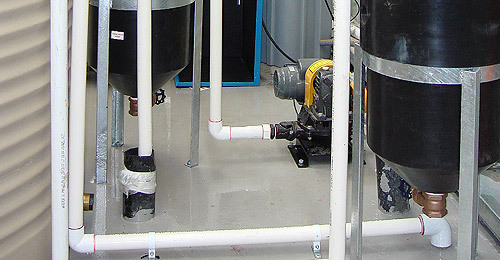 This after all is too risky a venture to contract an inexperienced company with little or no demonstrated evidence of doing this type of work. 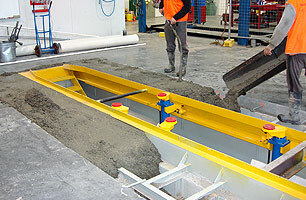 We highly recommend you seek references of similar jobs that your potential service pit builder is promising you. 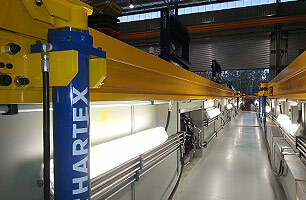 We stand by our products, which is why the Hartex drop in pit system has become the industry benchmark in Australia and our rapidly expanding international markets. 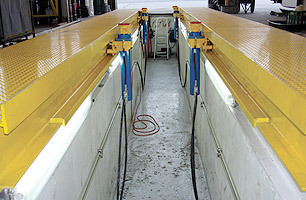 When configured as a truck service pit, we can custom build Hartex drop in pits to bay lengths of 6 to 40m long, catering to small truck fleets, B-doubles and road trains. 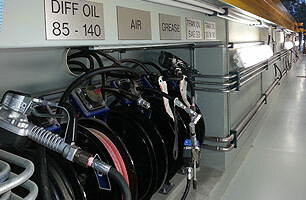 Our prefabricated pit systems can also be configured to a large variety of bus fleets and inspection stations like those operated by TMR (Transport Main Roads – QLD ) and RMS (Roads and Maritime Services – NSW). 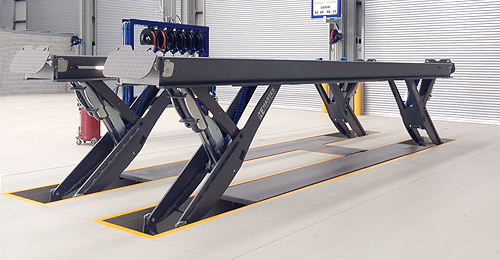 The Hartex pit jacks pictured are catered to suit the specific needs of your fleet and is yet another innovation by Hartex to make the service pit environment safer and more productive. 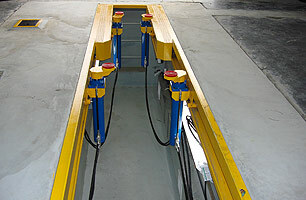 Check out our complete range of Pit Jacks to find a jacking system that suits your work or fleet.